Bramley War Memorial volunteers prepare for Remembrance services | West Leeds Dispatch | News. Views. Get involved! Volunteers are hard at work completing the arrangements for the Remembrance Sunday service in Bramley. Members of the Friends of Bramley War Memorial group say between 300-500 people are expected to attend. One of the organisers, Rodley resident John Barker, said he was ‘very pleased’ the service will have both an Iman and a Jewish representative to say Kaddish. Ahead of Remembrance Sunday, the Friends group will be holding its AGM on Wednesday, October 28 at Bramley Community Centre. See the details below – all welcome to attend. 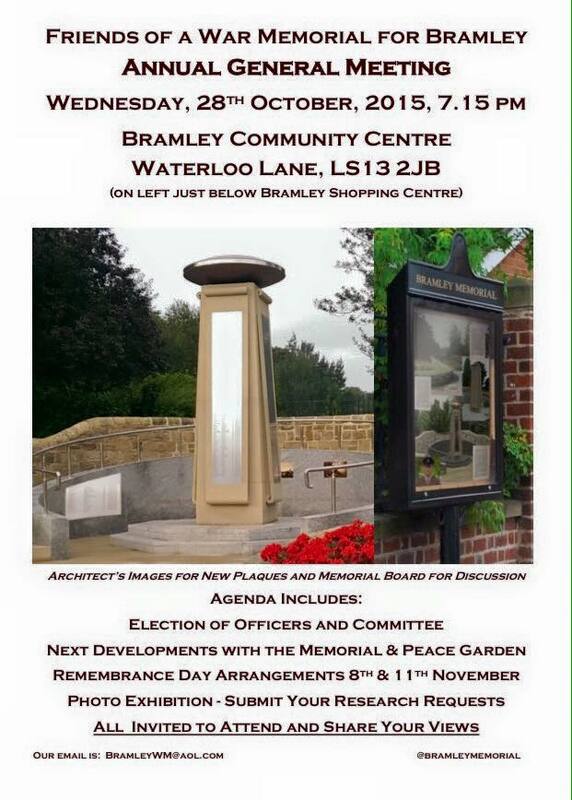 To get involved with any of these projects, email bramleywm@aol.com or follow @bramleymemorial on Twitter.